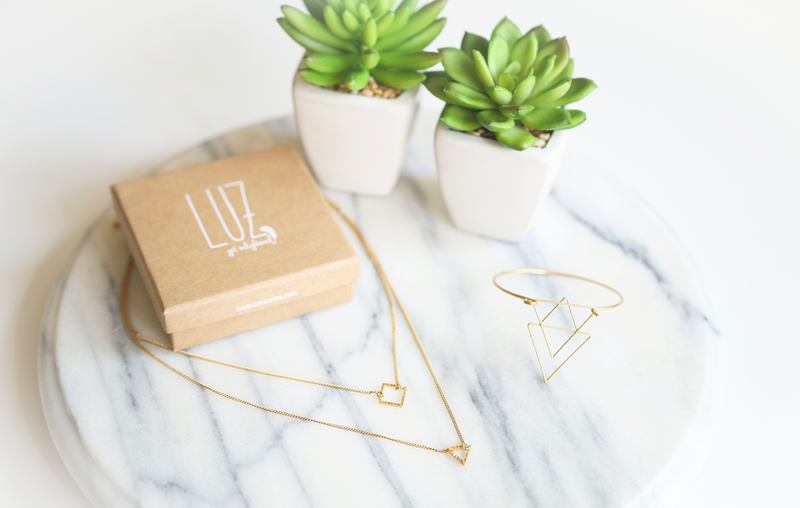 Today I will tell you about a new Dutch jewelry brand called LUZ. Yesterday evening there was an opening of the pop up store in Amsterdam which you can visit today and tomorrow (16 & 17 july) at Haarlemmerdijk 41. LUZ is created by Loes Termeer, to inspire and enchant. Her main goal was to create something for women that are looking for something special, trendy and with a symbolic value. The accessories are made of 16 carats gold and silver what gives it the finishing touch. Not only the designs of LUZ are high quality, also the materials. I love this new jewelry brand. 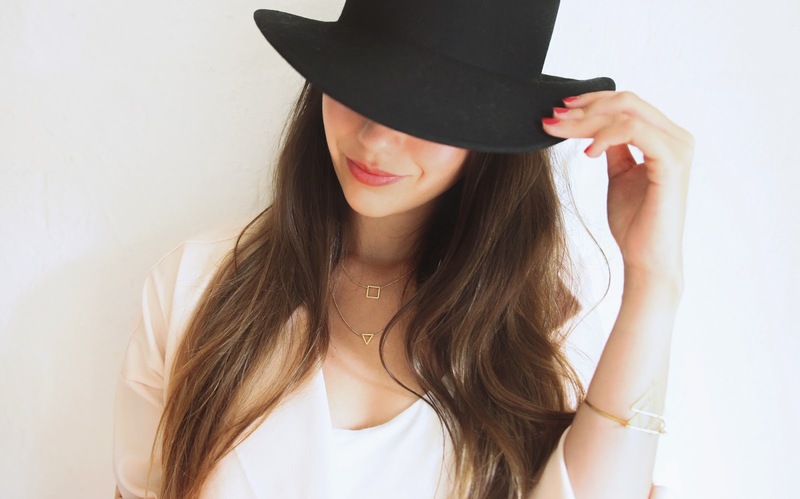 In my opinion it's nicer to have one special necklace than a thousand different statement necklaces. And LUZ brings exactly that kind of special, small jewelry I was looking for. Oeh la la! Erg mooi! Erg mooi! Ik vind alleen het doosje erg mooi. Wauw deze sieraden zijn perfect! Lekker simpel, daar hou ik wel van. Prachtig, ik hou van geometrische vormen! Ziet er heel erg mooi uit! Ik houd wel van zulke fijne kettingen. Wauw! Echt prachtige sieraden! Ik houd van die subtiele accessoires! Super mooi! Supermooie juwelen. Simpel, maar pretty! oh wauw het ziet er ontzettend leuk uit! I really really like these accessories! Wauwie, wat een sieraden, heel leuk. Je blog is supermooi vormgegeven trouwens!